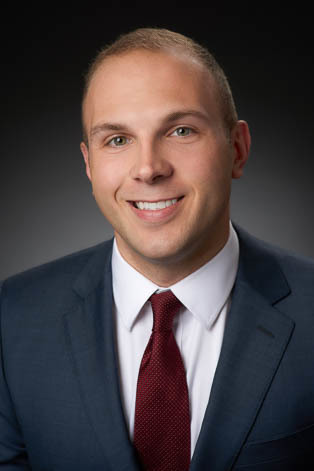 Andy Kaminski practices in the firm's Business Representation & Transactions Group. He focuses his practice in the areas of mergers and acquisitions, business planning and formation, real estate development, commercial finance and corporate counseling. Prior to joining KMK, Andy was an Associate with Stagnaro, Saba & Patterson where he counseled privately-held businesses on a broad range of corporate and real estate transactions. While in law school, Andy served as a judicial extern in the chambers of the Honorable William O. Bertelsman, Senior Judge for the Eastern District of Kentucky. Represented LSI Industries Inc. in its acquisition of all of the stock of Atlas Lighting Products Inc. for a cash payment of $96.5 million plus warrants to purchase 200,000 shares of LSI Common Stock. Represented real estate developer in acquisitions, sales, financing and ongoing development ranging from $150,000 to $50 million. Represented real estate developer in the numerous transactions related to the acquisition and development of approximately 110 acres of the former Blue Ash Airport site. Represented purchaser of office building in acquisition for $30 million. Represented owner of office building in $72 million refinancing. Represented publicly traded company in $10 million acquisition of heat treatment company. Represented privately-held company in $33 million acquisition of apartment complex. Represented client in sale of two luxury automobile dealerships and associated real estate. Represented industrial manufacturer in sale and leaseback of real estate and production facility. Represented technology company in divestiture of software division. Represented office building owner in $15 refinancing. Represented privately-held company in acquisition of industrial repair company and associated real estate. Represented large family-owned company in negotiation of exclusive white-label supply agreement with multi-national vendor.